Through partnerships in the Gulf of Mexico region, CRADDOCK has been a key player in the on-going re-building and repairs of Gulf of Mexico infrastructure that came as a result of Atlantic storms since 1997. Through our group companies combined efforts, we have been able to successfully complete a vast array of complex projects that have proved crucial in the wake of the annual Atlantic storm seasons. 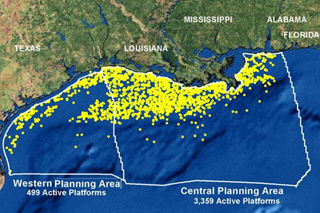 There are nearly 4,000 offshore oil and gas facility platforms in the Gulf of Mexico. Unfortunately, this oil rich region of the world is also a breeding ground for some of the deadliest and most destructive storms on the planet—hurricanes. On average, at least 10 platform facilities are lost or destroyed each year due to storms and/or hurricanes. 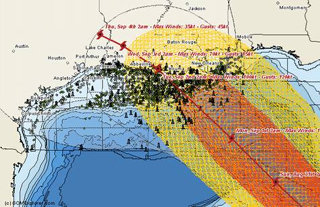 This constant cycle of storms is ever present, and offers some unique challenges to the Gulf of Mexico oil and gas industry. While it is true other areas of the world deal with extreme weather elements, no other area has to deal with the constant loss and/or destruction of nearly a dozen onshore and offshore facilities each year. From a budgetary standpoint, the loss and/or destruction of these offshore and onshore facilities, platforms, and infrastructure is both planned and predicted. 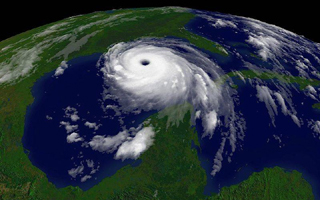 The 2005 hurricane season had an extraordinary impact on the offshore oil and gas industry in the Gulf of Mexico. 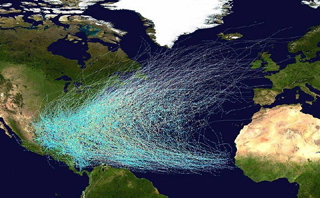 The combination of Hurricanes Katrina and Rita had a direct effect on 3050 of the 4000 platforms in the Gulf, and 22,000 of the 33,000 miles of pipelines were in the direct path of both of these storms. The magnitude of the damage was immense—46 platforms were destroyed and 20 others damaged by Hurricane Katrina. Hurricane Rita destroyed 69 platforms and damaged an additional 32. Some 457 pipelines were damaged by the storms. 100 percent of Gulf oil production was shut in during both storms and 94 percent of Gulf natural gas production was shut in during Katrina. In spite of the significant damage to oil and gas infrastructure (including platforms, rigs, shore bases, pipelines, and natural gas processing plants), an estimated 88 percent of pre-hurricane daily oil production and 91 percent of pre-hurricane daily natural gas production is back online within 3 years. All but two of 47 natural gas processing plants in the area are operating. Given the loss of platforms and damage to pipelines and other infrastructure, this is an extraordinary recovery. However, this recovery was short lived, as the 2008 hurricane season brought more extensive damage to the region. 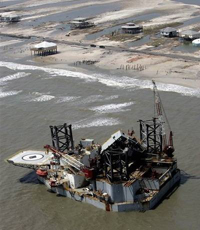 By the end of the 2008 storm season approximately 1,450 oil and gas production platforms in the Gulf of Mexico had been exposed to hurricane conditions (winds greater than 74 miles per hour). As a result of these storms, 54 of the almost 4000 offshore oil and gas production platforms were destroyed, 35 platforms suffered extensive damage (3 to 6 months to repair), and more than 60 platforms received moderate damage (1 to 3 months to repair). 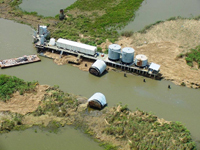 Offshore and onshore pipeline damage to the region was also extensive, as these photos attest. Despite the economic downturn from what is now being referred to as the “Great Recession” of 2008 and 2009, storm damage repairs from the 2008 storm season are ongoing. Many onshore and offshore facilities have returned to their fully operational state, and CRADDOCK and its Gulf of Mexico partners continue to play a large role in making this happen. With sound financial planning, and an eye on future expansion in the region, CRADDOCK and its partners hope to continue to build on previous successes well into the future. 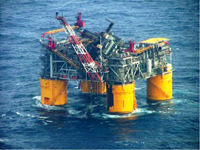 Read more about sub sea services, facility abandonment and NORM. Email your request for more information. Copyright 2010 CRADDOCK Engineering Inc. All rights reserved.